Whether it's the festive season, birthday celebrations, or simply a sunny Saturday, skydivers can always find an excuse to add a new widget to their skydiving gear bag. Yet they are one of the most difficult species of human to buy for. If you're wanting to get your favourite skydiver a gift this season, take a look at our top 5 suggestions for some inspiration. A protective and rugged case for skydiving helmets. Shield visors from scratches and the helmet from bumps and scrapes on the journey to and from the dropzone. Fastens with a zip and can be carried around with a rubber-grip handle. Loops either side allow pullups and keyrings to be attached for personalisation. Zippable interior box is ideal for gloves, bungees, sweeties, audibles - and whatever else fits! 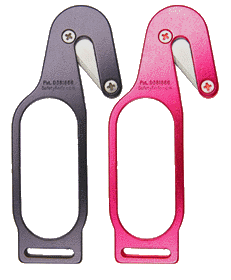 Once skydivers achieve their A licence, it is essential that they carry a hook knife for every skydive (normally attached to a part of their harness). Most skydivers go for the cheaper plastic option, which very often goes missing. Treat them to a stronger, longer-lasting, aluminium hook knife that they will look after well, knowing it will look after them too. Comes in red or black with a pouch that can be looped around the chest strap. Every skydiver needs a written log of their skydives, and most use a logbook to write or draw up their jumps. 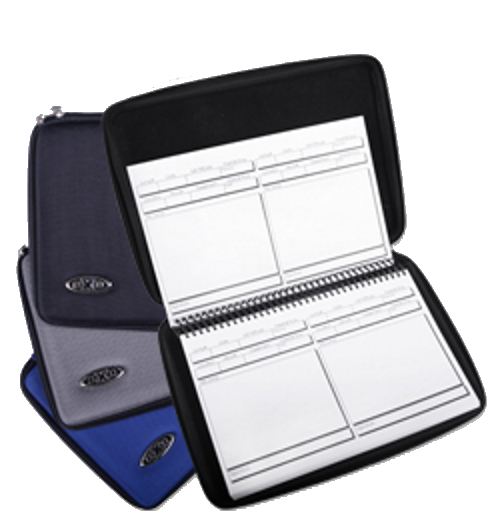 Logbooks are priceless bits of kit for skydivers so it's best to protect them with the Exo logbook holder. With a tough outside and secure zip, this case is hard wearing from bumps and scrapes which could otherwise damage the pages within. The case fits logbooks which are A5 sized, and inside are pockets to fit extra sheets (A5), as well as other sized net pockets for their BPA licence book, membership cards, packing tickets, jump tickets, stickers, etc., and a pen! 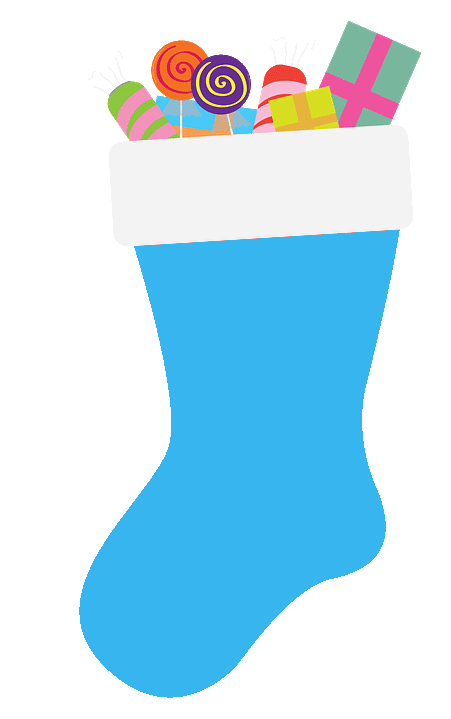 Now this may seem like the cliché Christmas gift, but your skydiving friend won't roll their eyes and politely thank you when they unwrap this pair of socks - they'll be thrilled. DexShell aren't just waterproof; they're breathable, abrasion resistant, antibacterial, sweat absorbing, and ultra lightweight for diverse use across many activities, including skydiving. 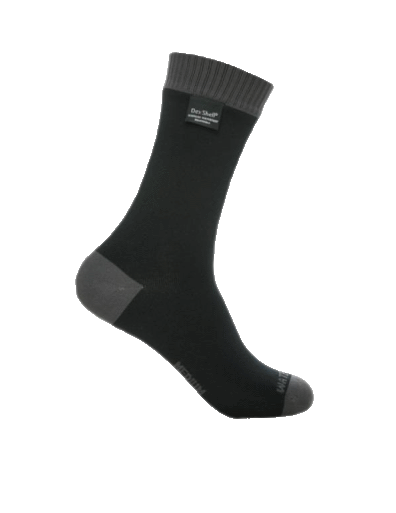 Skydiving in the UK means wet grassy landing areas, and with these socks, skydivers can keep jumping all day without worrying about wet and soggy toes. For 10 minutes coached tunnel time. A perfect gift for skydivers in any stage of their progression: student (Category System/RAPS, AFF), A licence (FS1), advanced FS, 4way, and freeflying. Tunnel is a great tool for building on freefall skills and works out to be around half price (or better) compared to a single skydive ticket. Even if they've never used the tunnel before or they're experienced with the "windy tube", every student will get full briefings before they go in, and video debriefs afterwards. A gift card can be purchased for any value from £5 to £1000 - enough to cover any of the above, and more. Valid for 2 years, this voucher will be sent via email straight to the lucky recipient, or only to yourself if you want to print it off or forward it on a different day. This voucher can be used in store, online, or via email. Provide up to 8 hours of 50°C+ heat with these single use hand warmers. Easy to shove inside a pair of gloves for UK winter jumping. Special elastic bands used during parachute packing, come in different sizes: micro and large (if you're unsure of size, go for large). 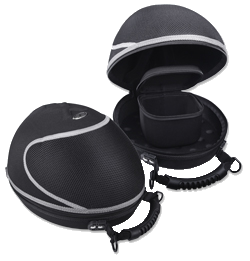 Ideal for skydivers who have their B licence and use a full face helmet (i.e. with a visor), but also useful for the others who wear goggles. Prevent the build up of condensation, and help reduce surface water droplets from clouds. Pack of 5 closing loops, which are important pieces of equipment used in parachute packing. Come in many different lengths and optional additional washer can also be included. These batteries are used in many popular skydiving gadgets. Handy to have for a quick change during gear checks in the morning of jumping. Cheaper option to the suggestion above. Essential bit of kit for skydivers A licence and above, comes with looped pouch. Another useful item for UK skydiving: keep the wind off their neck, or help keep their hair looking great under their helmets. Stylish and practical. Feeling inspired? 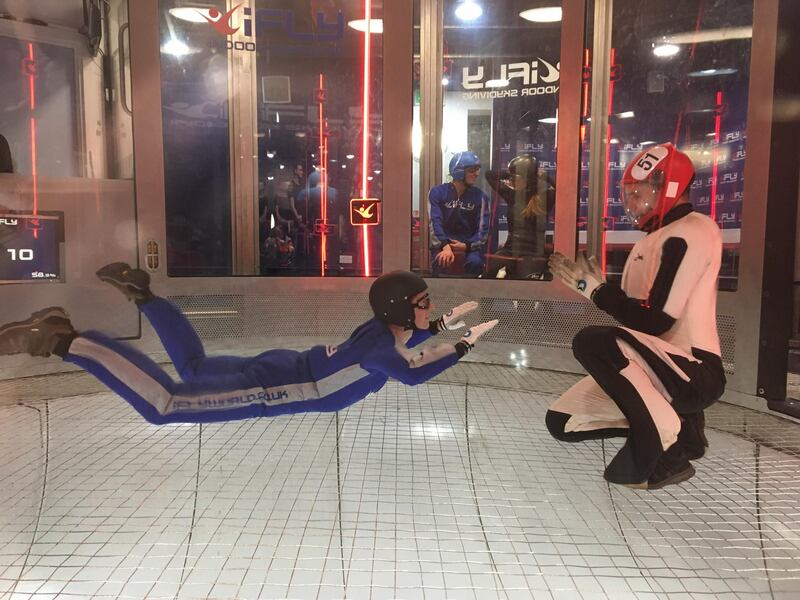 Take a look at our gift ideas page for even more handy bits of equipment for skydivers. If you've bought or received something that isn't quite right, we are offering an extension on our returns policy: any items bought in December 2018 can be swapped or returned and refunded until 15th January 2019 (subject the item being returned in original packaging in unused condition as per the rest of our T&Cs). Prices on all products are subject to change at any time.